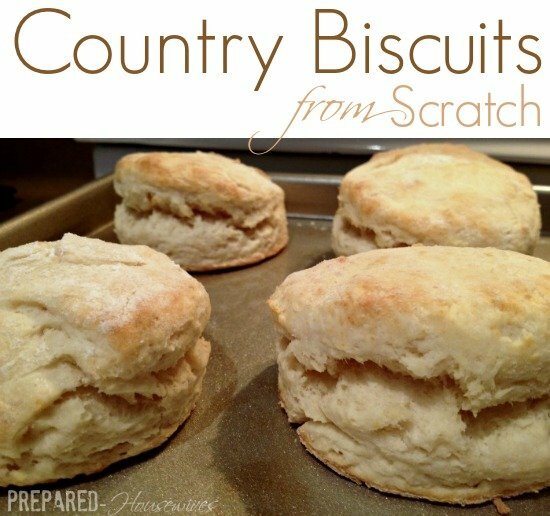 Nothing says country living like the smell of fresh homemade biscuits in the oven. Waking up at Granny’s house meant the smell of hot homemade biscuits, homegrown bacon, and heavenly dripped coffee. Even after all these years, these smells transport me back in time to a young girl crawling from beneath handmade quilts and skipping to the kitchen to find love and breakfast. Who knew then how precious those days would become. 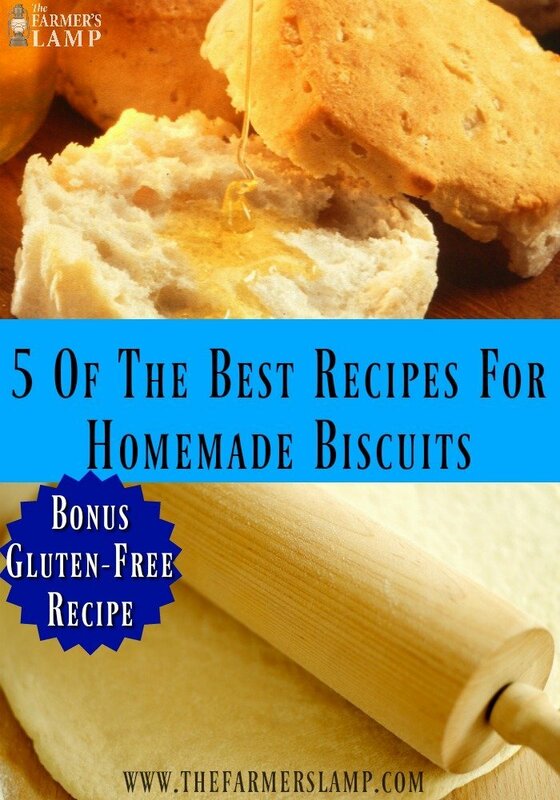 Here are five of the best homemade biscuit recipes, plus one low carb gluten-free bonus recipe. 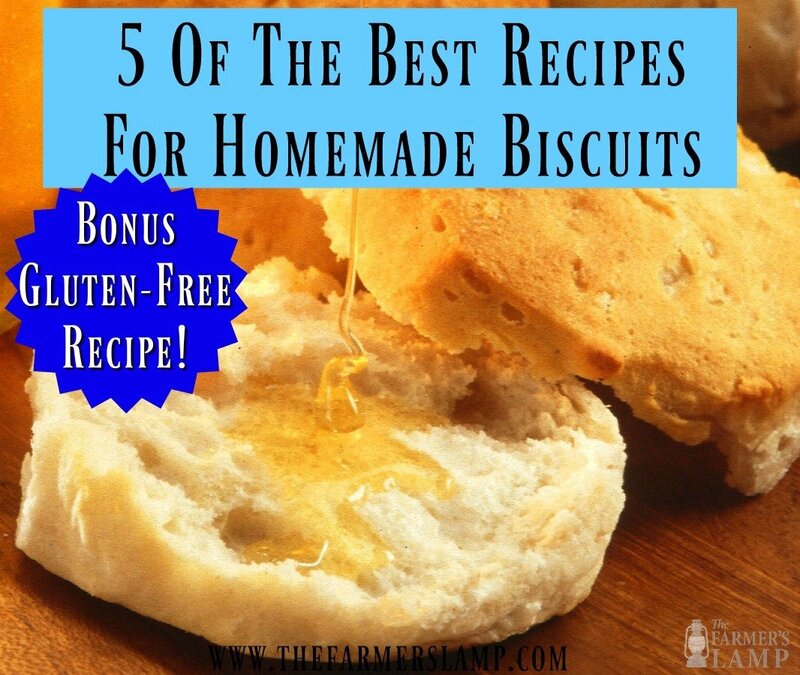 Biscuit recipes, like cookie recipes, can become closely guarded secrets. I knew a lady in Mississippi who would shoo everyone out of the kitchen when she got ready to assemble her biscuits. 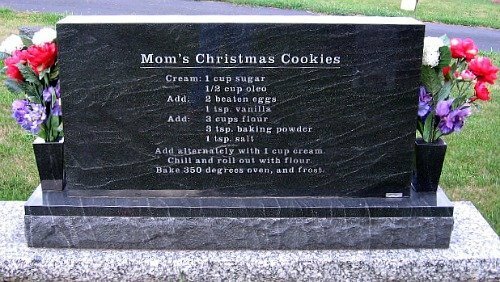 She was known for their deliciousness all over the county but when asked about her recipe she would say, “over my dead body”. 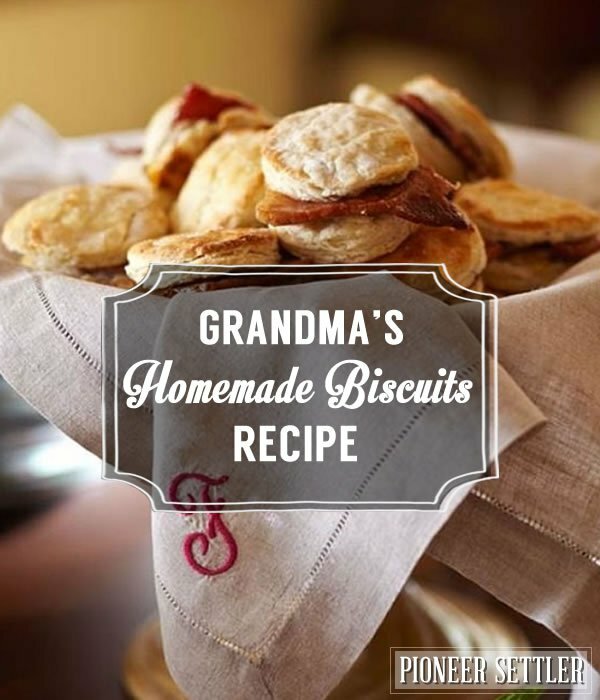 My Granny taught me to cook and this included her homemade biscuit recipe handed down through the generations. In the cookbook I’ve been building for my sons for the last 15 years, I gave them the recipe for Granny’s homemade biscuits but I’ve never shared it with anyone else…until now. Put oil in the bottom of large cast iron skillet only to cover the bottom. In a large mixing bowl, combine first 3 ingredients well. Remove butter from frig and cut into small pieces. Using a hand-held pastry blender or fork, combine butter with flour until butter resembles coarse crumbs. Do not mix too long or the butter will soften too much before baking and you don’t want this to happen. Make a well in the middle of the flour using the spoon you combined the dry ingredients with. Next, add 1/2 cup of buttermilk and 1/4 cup of water and mix with a pastry blender (hand tool, not electric) or you can use your spoon. If the dough is too dry and crumbly, add a little buttermilk and if you need more, a little water. This is tricky. You don’t want the dough to be too moist or runny and you don’t want it to be dry either. Next, place a little flour onto a saucer and use the spoon to scoop out the dough for the size biscuit you want. Place the dough gently in the flour and turn it once to coat the other side, but not to much, only a dusting. Pat and roll the biscuit into a nice round shape being careful not to handle to much. Place it in the skillet and turn it over so both sides are oiled. I put the ugly side down. Once you have done this with all the dough, place the skillet into the oven and wait….25 mins or so until the tops are golden brown. 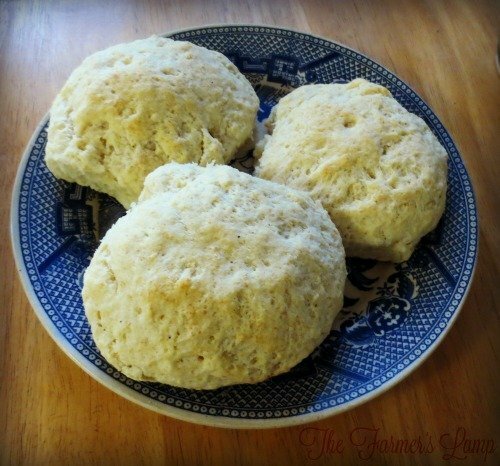 You should have light, fluffy biscuits like Granny always made. 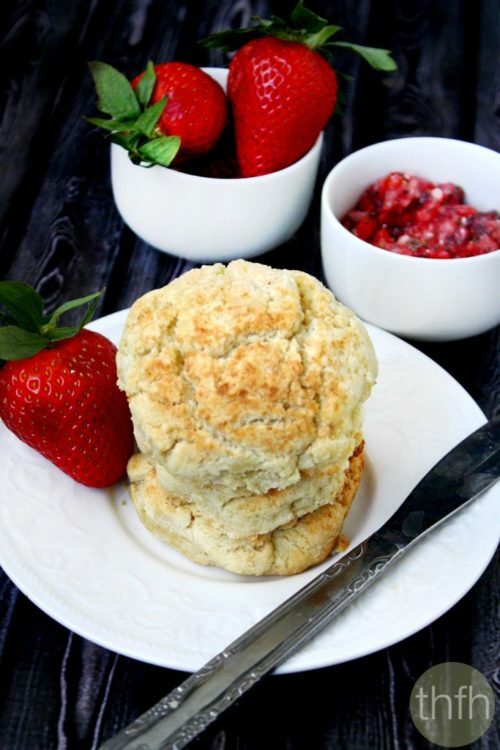 If you are looking for a different variation of your grandma’s classic biscuit recipe, this one just might do the trick. You can get this recipe at Pioneer Settler. 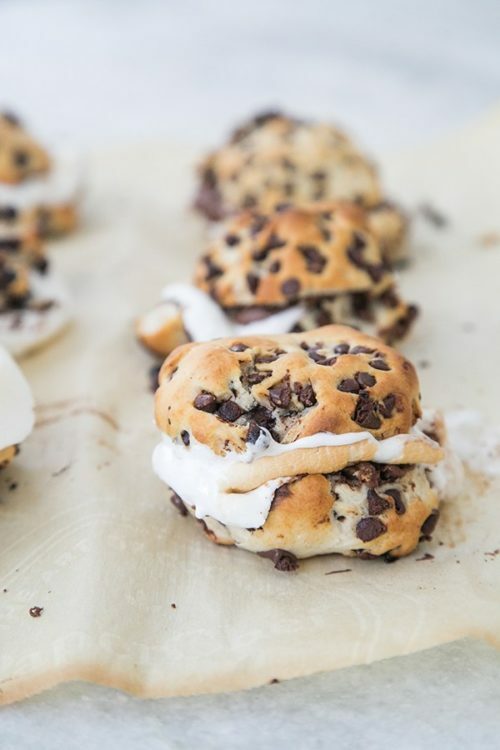 Who could resist sharing a special Chocolate Chip Biscuit S’mores recipe? If you’re like me and love a good pastry with your morning coffee, these might just be what the chef ordered. After all, biscuit recipes are so diverse they’re almost begging to be artfully blended with whatever your mind can imagine. You can get the recipe at Sugar and Charm. This is one of our very own recipes that we adore. Life is ever changing and so does our diet. We still make everything from scratch, but we are tweaking our grandma’s recipes to make them a little more health-friendly.